The British government is in chaos over recent political divides stemming from Theresa May's approach to handling the Brexit fallout resulted in the resignation of a powerful member of Parliament. 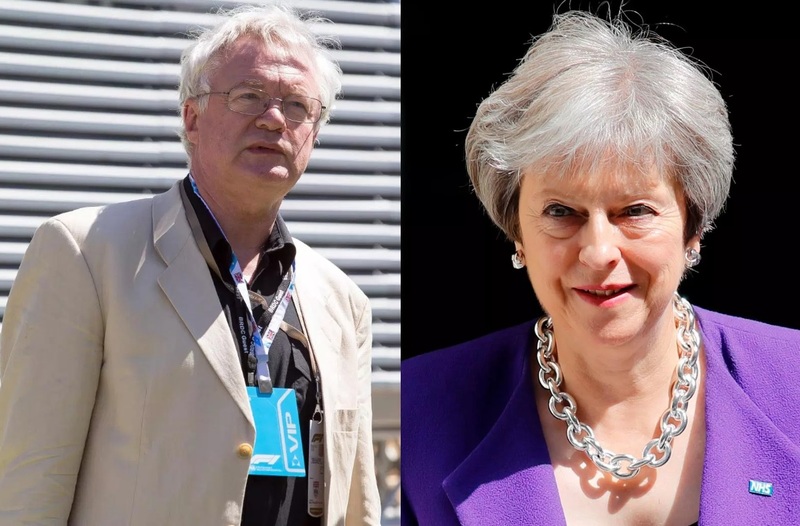 The exit of David Davis comes just 48 hours after Prime Minister May's Chequers summit where others such as Boris Johnson were quite vocal about their dissent when it comes to May's Brexit policy. Davis announced his resignation just moments before midnight leaving behind a <a href="https://www.thesun.co.uk/wp-content/uploads/2018/07/NINTCHDBPICT000419040028.jpg?w=960">devastating letter warning</a> May of the danger of her proposals. Davis has been outspoken about his disagreement with the Prime Minister's policy. He recently said there had been a "significant number of occasions in the last year or so on which I have disagreed with the Number 10 policy line." Davis indicated he decided to continue to tow the Conservative Party's line and remain in the Cabinet. He said he wanted to remain in the Cabinet "because I considered it was still possible to deliver on the mandate of the referendum, and on our manifesto commitment to leave the Customs Union and the Single Market." In Davis' damning letter on the Prime Minister's recent approach, he said, "I am afraid that I think the current trend of policy and tactics is making that look less and less likely." Due to the manner of Davis's resignation and his scathing letter of reprimand to May, her Brexit proposals have been left in turmoil. Davis criticizes the Prime Minister's claim that her soft approach to Brexit will give Parliament back control of laws calling it "illusory rather than real". Davis also said he plans for a "common rulebook" with the EU for the trade of goods that "hands control of large swathes of our economy to the EU and is certainly not returning control of our laws in any real sense." In a final devastating blow, Davis told the Prime Minister May that her negotiating approach would "just lead to further demands for concessions". Even party chairman Ian Lavery said, "This is absolute chaos and Theresa May has no authority left. The Prime Minister is in office but not in power. She cannot deliver Brexit and our country is at a complete standstill, while the Tories indulge in their leadership tussling."